Sixteen Going on Seventeen is so cute and funny. Leisl's dress here is one of my favorites too. This was a re-watch. I watched this a lot when I was little, and I've always thought it was pretty cool. But now that I'm older I can really appreciate the story, humor, songs and costuming. Also a rewatch. I have to say I was not a fan when I originally saw this several years ago. 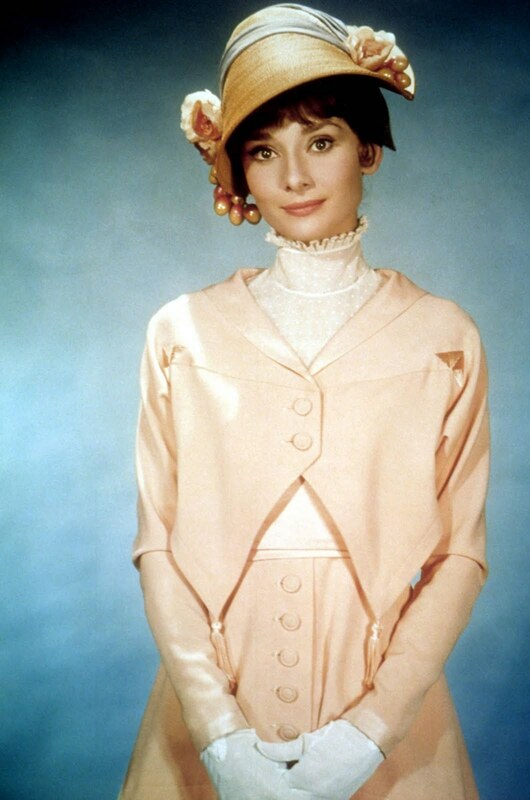 But now that I've come to appreciate the loveliness that is Audrey Hepburn and been exposed to more Britishness in general, it's grown on me. I have a lot more appreciation for the story, characters and wordplay. The costumes are pretty great too, especially all those Edwardian hats. This was wonderfully silly musical was a new one for me. I've had several friends recommend it over the years. 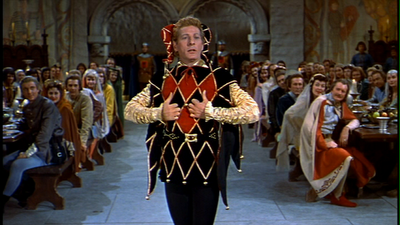 Danny Kaye is certainly a master of physical comedy and I loved all the clever wordplay. The interwoven plot of mistaken identities and the wrong people falling in love, etc is very Shakespearan. (I remember my drama teacher in high school drew inspiration from this movie for our production of Comedy of Errors.) It has a surprisingly good cast, I didn't even recognize a young Angela Lansbury as the princess. The over-the-top, vibrantly colorful costumes were great too. I used to watch this one with my grandma when I was little; we even saw the stage production when I was five. 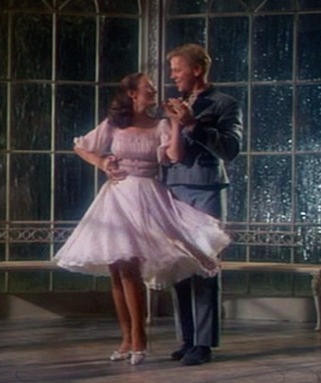 Like Sound of Music, I really didn't understand just how well done it was until I've watched it more recently. First of all, I have to rave about the costumes. It helps that the setting is the royal palace of Thailand (then Siam.) The use of brocades, gorgeous, vibrant colors, beading and earrings and headpieces are simply stunning. The contrast of Anna's full, more neutral colored hoop skirts is brilliant. I have to also rave for a bit about Jerome Robbins, the choreographer. (He also did West Side Story and Fiddler on the Roof!) The man was a genius. The play of Uncle Tom's Cabin is amazing, especially considering he was trained in Western styles of dance. Some of the movements are so simple, but so effective and brilliant. 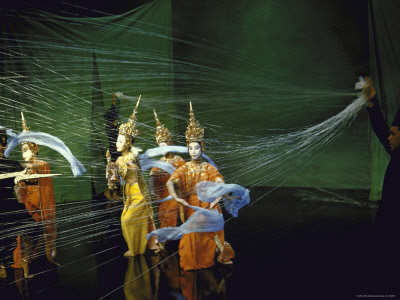 The way they use fabric, etc to create the scenery of the play is so well-thought out. I always noticed the specific singing style of girls in 60's musicals. They all sounded the same to me. I eventually realized that's because the same women sings most of them. Marni Nixon, often called "The Voice of Hollywood," was dubbed over many of the leading ladies of the day, including Audrey Hepburn in My Fair Lady, (Except for "Just You Wait," which she sang herself) Natalie Wood in West Side Story, (And Rita Moreno's part in the Quintet) and Deborah Kerr in The King and I. Her first on-screen role was actually as one of the nuns, Sister Sophia in Sound of Music. On top of these classic movies, I saw Newsies for the first time at a friend's, and rewatched Hairspray, (the musical from 2004) and saw West Side Story live. Not to mention my obsession with Les Mis, but that's a whole other post. I've also been exposed to the Broadway musical version of Tarzan. A local Christian college is performing it, and one of my dance teachers is the choreographer. They needed more dancers for one big scene, so I get to be in it. It's the first show I've ever been in with live orchestra and I'm really excited! What are your favorite musicals? Do you prefer stage or movie versions? Why? Ever been in a musical? Any recommendations for our list of classics?